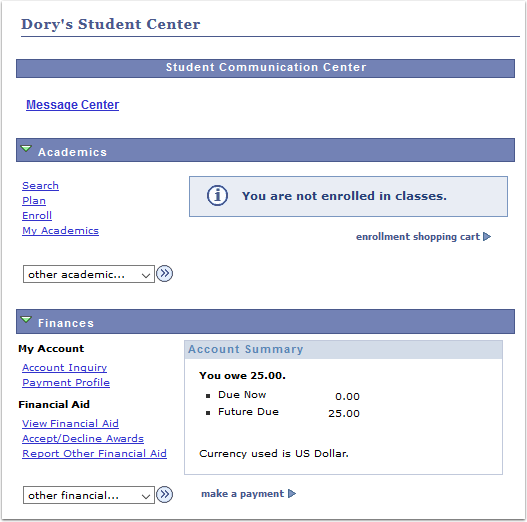 Purpose: Use this document as a reference for how to manage admissions application fees in ctcLink. 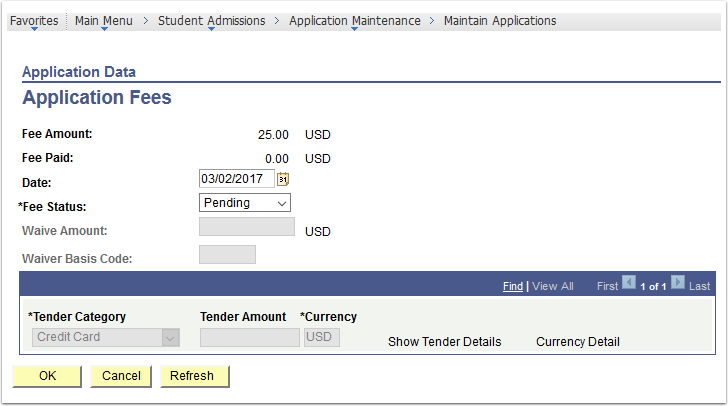 When applicant pays thru OAA, Admissions Staff can see the payment associated with the application on the Application Data tab by selecting the Transaction Summary. Because the OAA paid amount is sent directly to GL the charge will not appear in Customer Accounts. 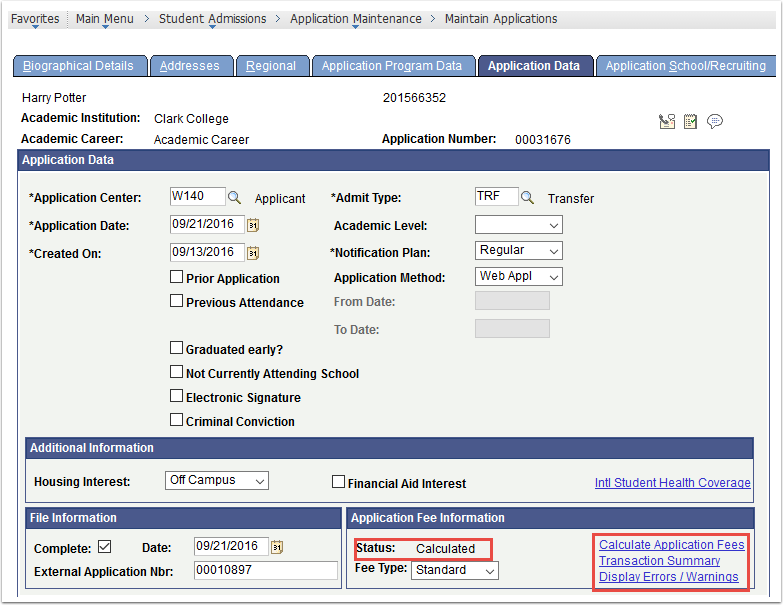 If applicant did not apply online or if your college charges manually while processing admissions, user selects the Calculate Application Fees link to initiate charge. This will send the charge to student financials (displays in Customer Accounts) and applicants will see the charge in Student Center.